Cortijo for sale in Andalusia (Alhaurin el Grande). The current owners have built this beautiful cortijo 10 years ago and have enjoyed it ever since. Unfortunately personal circumstances now force them to sell their home. They paid 1.2 million euros for the property when they built it, meaning you can now buy a true bargain and a great investment with an asking price of just 599,000 euros! The asking price has been reduced to a mere 599,000 euros – with a little more room for negotiation. Not only that, the owners will even pay up to 20,000 euros for an entirely new tiled swimming pool. The permits are in, so all you need to do is choose the shape of the pool and the colour of the tiles you desire. There´s also a possibility to close off the roofed side of the patio if you need extra space. The upstairs bedrooms and bathrooms are very big and could be split into more rooms. You could use the flat plot next to the house. And maybe you would want to brighten up the inside of the house a bit by painting some of the wooden ceilings white. All options to make this Andalusian cortijo even more perfect. 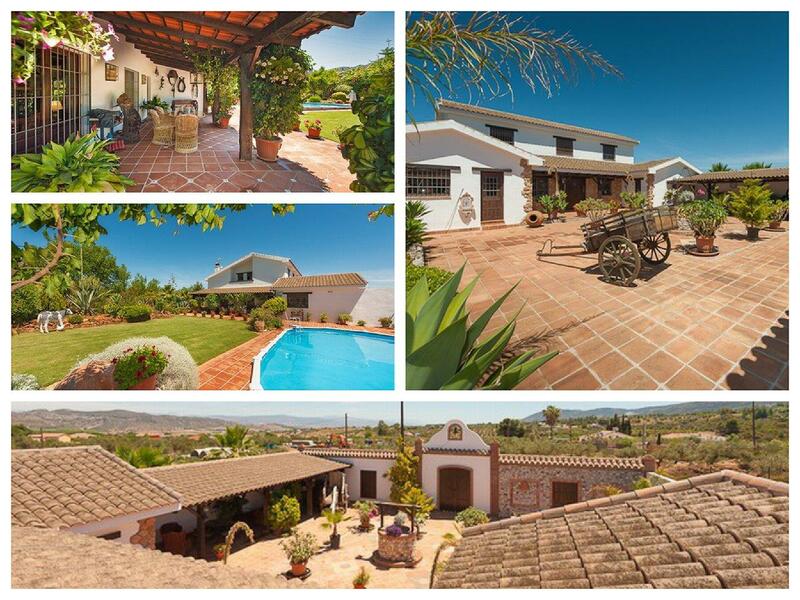 This cortijo is a once in a lifetime opportunity to purchase a beautiful top quality country home in a quiet, spacious and peaceful setting yet 5 minutes away from the town centre of Alhaurin el Grande – and less than a 30 minute drive to the airport, booming Malaga, fashionable Marbella and the sunny beaches of the Costa del Sol. Wish to know more? Click here for photos and more information. You can of course also call or e-mail us. The reference number of this property is MP1084.